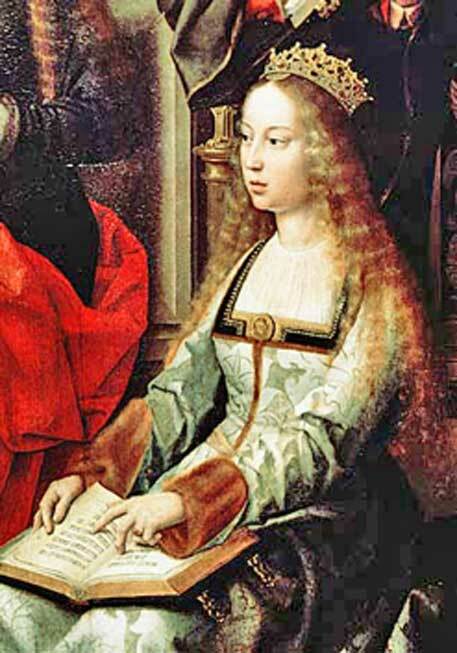 Isabella I was a Queen of Castile and León who lived between the middle of the 15th and the beginning of the 16th centuries. Her reign is notable for a number of important events, including the completion of the Reconquista, the establishment of the Spanish Inquisition, and Christopher Columbus’ 1492 voyage, which the monarch supported and financed. Isabella I was born in 1451. Her father was John of Castile, and her mother Isabella of Portugal. When her father died in 1454, Isabella’s half-brother, Henry IV, became the new king of Castile. Henry designated his daughter, Joanna, as his heir, though he was forced by the nobles to revoke this, and accepted Alfonso, Isabella’s younger brother, as heir instead. The young prince, however, died in 1468 of suspected poisoning or as a victim of the plague. Isabella was named by Alfonso as his successor, and the nobles opposing Henry offered her the crown, which she refused. The pressure mounted by the nobles on Henry, however, forced the king to compromise by naming his half-sister as his heiress. 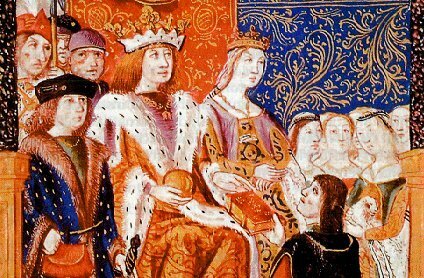 In 1469, Isabella married Ferdinand, who would become the King of Aragon, a union which would later serve to unify Spain physically and spiritually. This marriage would also create the basis for the political unification of Spain under Charles V, one of their grandsons. 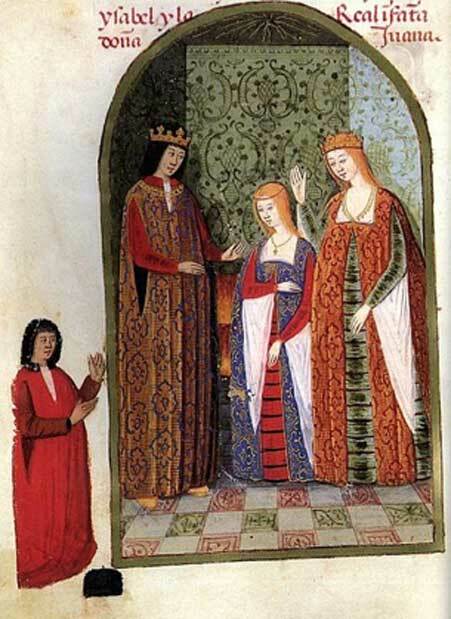 As the marriage occurred without the king’s consent, however, Isabella’s recognition as heiress to the throne of Castile was withdrawn by Henry, and Joanna was once more named as the Henry’s successor. In 1474, Henry died and a civil war between Isabella and Joanna ensued. 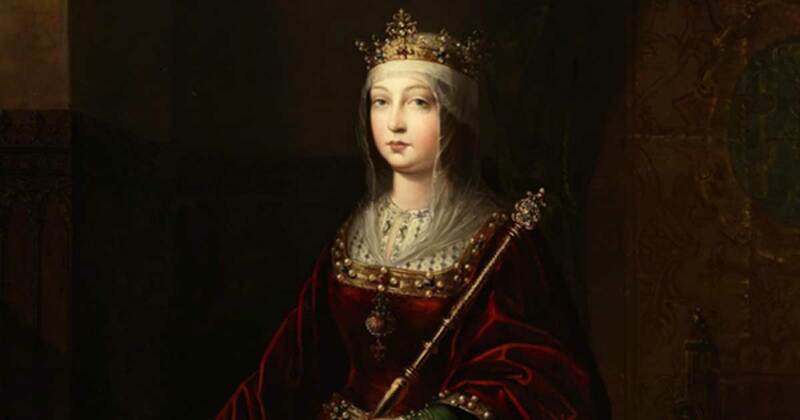 Isabella emerged victorious in 1479, and was recognized as the new Queen of Castile. The reign of Henry had shown that a noble class with too much power in their hands was a threat to the monarchy. Therefore, one of the first steps taken by Isabella and Ferdinand to secure the throne was the initiation of reforms that served to increase the power of the monarchy, whist reducing the power of the nobles. Apart from curbing the influence of the nobility, the new monarchs also saw religious conformity as a means to strengthen their position. At this point of time, Spain was home not only to Christians, but also to significant communities of Jews and Muslims. 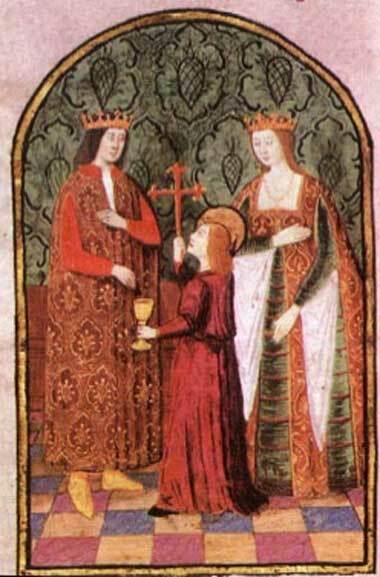 Isabella and Ferdinand perceived these non-Christians as threats to their Christian kingdom and sought to do something about it. In 1480, the Spanish Inquisition was established. This was aimed at Jews and Muslims who had converted to Christianity, though suspected of practicing their former faiths secretly. By rooting such individuals out, the Inquisition sought to “purify” the faith and the kingdom from potentially treacherous elements. Apart from internal enemies, Isabella and Ferdinand also dealt with external ones. The Reconquista, which had been going on since the 8th century, was concluded during their reign. By the 15th century, the only remaining Muslim state in the Iberia was the Emirate of Granada in the southern part of the peninsula. In 1492, Granada fell to forces of Isabella and Ferdinand. It was also during that year that the Alhambra Decree (known also as the Edict of Expulsion) was issued by Isabella and Ferdinand. The decree affected the kingdom’s Jewish population, who were given the choice either to convert to Christianity or to leave. Another significant event in that year was Christopher Columbus’ first voyage to the New World. The Genoese explorer had successfully convinced Isabella and Ferdinand to sponsor his voyage of discovery. This would later lead to Spanish dominance in South America. Isabella and Ferdinand’s efforts to purify the Christian faith in their lands were recognized by Pope Alexander VI and they were granted the title of ‘Catholic Monarchs’. Isabella died on the 26th of November 1504. Her remains were later entombed in the Royal Chapel of Granada. Her daughter, Joanna, became the new queen, whilst Ferdinand served as regent until his death 12 years later.